Corporate event sponsorship has become a popular form of marketing in recent years. No longer reserved for large corporations with big marketing budgets, small and medium-size businesses are increasingly involved in sponsoring community events that enable them to increase visibility and promote brand awareness. Exposure to your target market. If you sponsor an event where your target market is likely to be in attendance, event organizers will do a lot of the work for you in terms of advertising the event and bringing in attendees. It can be a highly effective opportunity for you to reach your target market. Use prominent signage, eye-catching displays, and professionally produced marketing materials to attract attendees to your booth. Lead generation. Sponsoring a booth at an event can be a great way to generate leads. An easy way to get lots of leads is to encourage people to drop their business card in a bowl for a chance to win a prize, or you could encourage people to complete an action on social media that enables you to capture their contact information. Shows community involvement. Smaller, less expensive event sponsorships enhance your visibility in the community. Sponsoring a community event such as a park cleanup day or food festival helps keep your brand top of mind with customers. Puts your business in the spotlight. Sponsoring an event helps you stand out from the crowd. It enables you to prominently display your products and marketing materials instead of just handing out your business card. When you sponsor an event, people interested in your product will come to you. Brand recognition. By sponsoring an event, your business name and logo will be included in the event program, and you can further leverage the opportunity to promote your brand by offering an item to include in event gift bags. Shows attendees a glimpse into your business. Staffing your booth with employees that perhaps wouldn’t ordinarily be visible to customers helps put a human face on your business. Consider showing a short video that provides a behind-the-scenes look at your company. When customers get to know your business better, they are more likely to remember you. Inexpensive way to market your business. Advertising can be expensive. Sponsoring an event can cost less and provide a greater ROI by focusing your marketing efforts on your target audience. New business partnerships and contacts. In addition to providing the opportunity for lead generation, an event sponsorship provides a great opportunity for networking with business leaders and identifying potential partnerships. Heightened visibility. Positive publicity from print and electronic media helps increase the visibility of your company’s products and services. Your brand will benefit from media coverage that otherwise could be prohibitively expensive. Engage and interact with your target market and form relationships. By supporting events that are likely to attract your target market, you improve your company’s image and standing in the community. You have the opportunity to engage with a larger segment of your target market and interact with business and community leaders. Event sponsorships are an excellent way to network and form relationships. Social media. Consider running ads on social media to alert followers that you will be sponsoring a booth at an upcoming event. Then post photos and live videos while at the event. It’s an effective and fun way to get attention. Increased traffic. 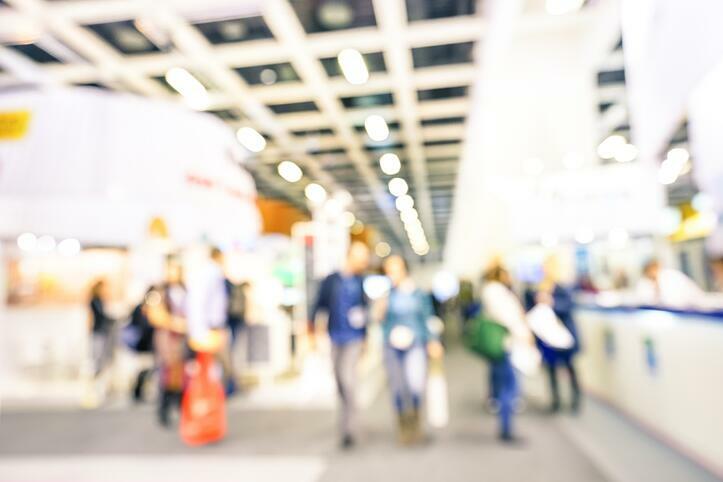 When you consider the amount of traffic you normally have at your store each day as compared with the number of people that are likely to walk by your event booth, there’s a good chance you can get more exposure at the event than you would on a normal day at your store. Interactive booth. When selecting employees to work at your booth, choose people with big personalities. An interactive booth with friendly and energetic employees makes your business seem fun and naturally attracts people to it. Offer a free trial. Event sponsorship provides an opportunity to let potential customers experience what your business has to offer. Provide samples of your products or offer a free trial period for your service. Create a lasting impression. With a well-designed event booth, some promotional giveaways, and a lead generation plan, customers will remember your company long after the event is over. Ensure that the perception of the event matches your brand image. Find out what the target market is for the event, and choose an event that your customers and potential customers are likely to attend. Determine whether the event aligns with the goals and values of your brand. By selecting the right events to sponsor, you have the potential to reach a large segment of your target market, often at a lower cost than traditional advertising. Plan carefully to maximize opportunities to increase visibility, brand awareness, and engagement with potential customers. Make use of social media to enhance your presence at the event and reach even more of your target market.